Want to keep track of events relevant to the discipline and profession of psychology in a national calendar? Look no further. The CPA maintains a calendar of upcoming events as a service to the community. Keep your agendas open and mark your calendars! If you would like to advertise your event, please contact us. The Dual Diagnosis Consultant delivering the training, has over 7 years lived experience as an ex-addict himself and spent over 10 years accessing various treatment and recovery programs to work through the underlying issues. Since then, he has 25 years of clinical experience as a counsellor and 16 years as an educator to Government and Non-Government organisations in Australia. The Dual Diagnosis Training Intro video on the website (www.dualdiagnosistraining.com.au/) introduces the 2 day advanced training that explains Substance Abuse, (with Alcohol & Other Drugs), as well as Mental Health Issues. The training is outlined in detail below at the end of this email and further information is also available on the website. This training will equip workers to be able to deliver a brief & early intervention to people struggling with substance abuse and mental health issues as well as advanced psychotherapeutic skills. 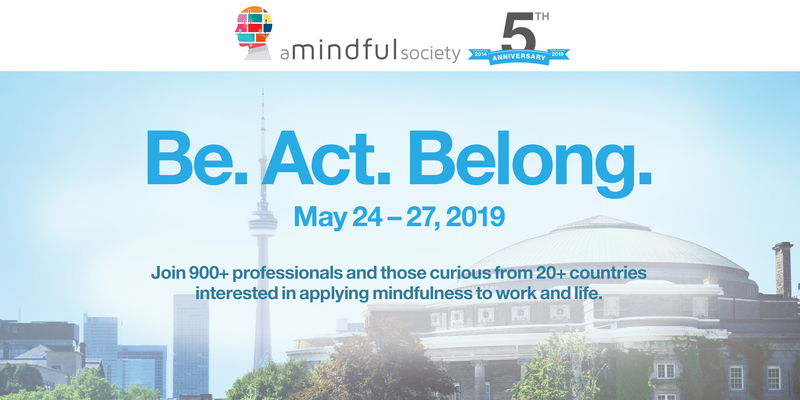 Tickets: Level 1 early bird price $595 until April 22! Tickets: $1295 for both level 1 and 2. Level 1 only early bird price $595 until April 29! Tickets: $1295 for both level 1 and 2. Level 2 only early bird price $895 until April 29! ICP | CIP: Call for abstracts/Save the date! The University of Ottawa will be hosting its 8th annual Interdisciplinary Conference in Psychology (ICP). This conference is of interest to researchers from any discipline whose research relates to psychology. We welcome submissions from student researchers (undergraduate, graduate, and post-doctoral), academics, and community researchers. The organization committee welcomes submissions related to the interdisciplinary aspects of psychology and cross-disciplinary research related to psychology. Dr. Dan Siegel , Thupten Jinpa, PhD , Valerie Brown JD, MA, PCC and many others. ● Connect and network with 900+ influential thought leaders from over 20 countries! Centre for Research and Learning – SickKids. Tickets: Early bird price $799 until May 10. Regular cost $875. Visit our Facebook page for a $50 discount! Join the CPA and more than 1,800 of your peers and colleagues from coast to coast, at Canada’s largest learning, sharing and networking event dedicated to those engaged in the science, practice and education of psychology in Canada – The CPA National Convention and CPA Marketplace trade show. Transforming the Experience-Based Brain (TEB) is focused on the lasting imprints of experiencinon-verbal Developmental Trauma and how the neurological regulation system is compromised. This compromised system develops defensive accommodations to over ride the missing pieces of development which affect the client’s ability to learn, socially engage, use imagination, gain a greater protective of the world, and attachment. The students will understand and gain both knowledge and skills in how the neurological regulation system works and experience in applying tactile touch in building capacity in the system. This awareness of how the system responds to early ruptures is also powerful in repairing shock trauma in the client through the awareness that a stronger initial developmental platform supports the systems automatic healing to trauma. Somatic Awareness brings forth the clinicians ability to recognize dysregulation in the client and touch brings forth a safe and effect way to work in the system without bringing forth more overwhelm. Even for those who don’t use touch in their practice because of external restraints, this method of working with intention and attention can bring about a sense of healing and relief for your clients. Through experiences and process, the student will move through the healing process from understanding the basic physiology of trauma to more advanced skills of working within specific systems affected by early ruptures. TEB is presented through a combination of lectures, videos, and actual experience of using somatic touch as clinician, client, and observer. By adding skills each module, the student will develop a greater awareness of working directly with neurobiological ruptures in the system and the ways that these early ruptures have affected the clients. We will also bring into focus Maslow’s work on developmental platforms and integrate it with Porges work on Polyvagal System along with the impact regulation on the client’s ability to self regulate. Learn more and register: https://www.attachment-and-trauma-treatment-centre-for-healing.com/uploads/4/0/5/4/4054075/2019_stephen_terrell.pdf. Join us for our Summer Training Institute to be held at Palo Alto University in beautiful Palo Alto, California. Summer Training Institute is 5 days of mix-and-match workshops presented by internationally recognized experts. What could be better? Spending a few days in California in June, attending training sessions to develop your skills and build your practice by day, and hanging out with new friends and colleagues by night taking in all the Bay Area has to offer. Aside from the best professional training sessions you’ve ever attended, Summer Training Institute is the perfect way to enjoy a great location, at a great time of year, and meet friends and colleagues with similar interests. Invest in your professional development and enjoy a few days in a great location. Why not take a few days to come to California this June and hang out with us? Build your practice and expand your skill set with expert professional training by Drs. Stephen Hart, Brianne Layden, David Martindale, Martin Sellbom, Jaime Brower, Yotam Heidenberg, and Philip Trompetter. Select from 10 different 1-day workshops to meet your practice needs. This 5 day professional training opportunity is perfect for all mental health professionals, legal professionals, law enforcement & correctional professionals, forensic evaluators, and those wishing to add forensic evaluation to their clinical practice. All workshops are CE approved by the Canadian Psychological Association. The skills taught in Dialectical Behaviour Therapy (DBT) contain an array of strategies designed to help people struggling in life lead happier and more productive lives. This 3 day training will cover the majority of the skills taught in DBT skills groups and can be used with clients both individually and in group settings. Using a variety of teaching strategies, including didactics, video and audio clips, role-plays, and experiential exercises, this workshop will provide mental health professionals with an assortment of skills they can use in better assisting their clients. The International Attachment Conference is hosted by The Society for Emotion and Attachment Studies (SEAS). SEAS is devoted to the dissemination of basic research, translational science and evidence based clinical practice in the field of attachment. There have been seven outstanding International Attachment Conferences, most recently in London in June 2017, which attracted over 500 registrants from across the world. We invite you to join other researchers, clinicians, policymakers, and practitioners in the field of attachment. REGISTER Register now and enjoy discounted rates! A one-day option is also available for Delegates. Current IAN/SEAS Members and Students will also enjoy reduced registration fees. SUBMIT Submit by March 1st, 2019! Submission formats include individual papers (oral), symposium presentations, and poster presentations. Book your accommodations now! Availability of reduced rate rooms are limited. Tickets: $1295 for both level 1 and 2. Level 1 only early bird price $595 until September 30! Tickets: Early bird price $799 until October 11. Regular cost $875. Visit our Facebook page for a $50 discount! Tickets: Early bird price $799 until October 18. Regular cost $875. Visit our Facebook page for a $50 discount! Tickets: $1295 for both level 1 and 2. Level 1 only early bird price $595 until November 4! Tickets: $1295 for both level 1 and 2. Level 2 only early bird price $895 until November 4!